We want to say “Thank You” for stopping by and looking around. We have been building trailers for over 40 years, throughout those years we have always put the customers first. We back that up with a lifetime warranty on our Tommy’s Trailers. 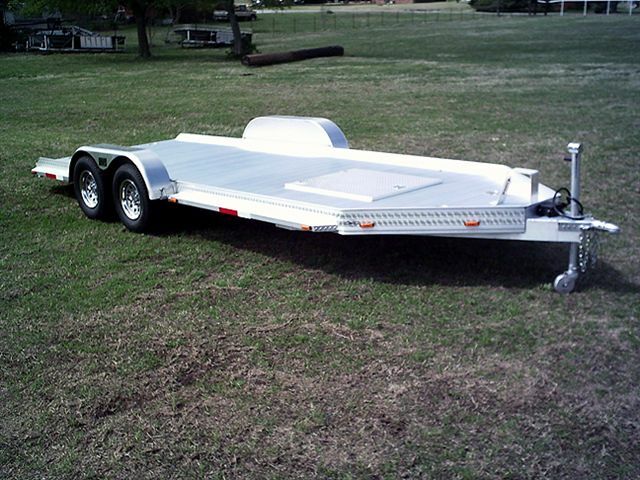 The Deluxe all Aluminum Car Trailer comes with the added extras that help with hauling your car. The extras include…. We would like to introduce you to one of our most popular add ons to either our production class or the Deluxe all Aluminum Car Trailer…..
Our Aluminum Enclosed trailer is designed with you in mind! 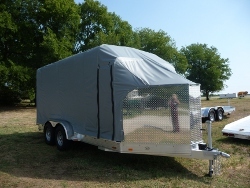 With our V-Nose to our EZ-Lift back door you can design your Enclosed Trailer to your specs…. 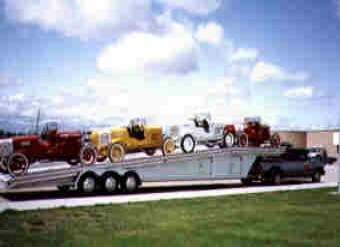 Tommy Hudson designed the very first open aluminum car trailer back in the early 1970’s since then we have come a long ways. Here is a gallery of some of customers trailers, if you are a proud owner of a Tommy’s Trailers please send us your photos through the website so we can put yours in the gallery.